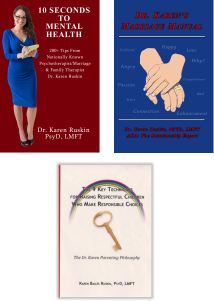 As the invited keynote speaker for the American Association For Marriage and Family Therapy’s Leadership Symposium in Arlington VA March 2015, I had the opportunity to share my story of career accomplishments and advancement, being a leader in my industry as a Marriage and Family Therapist/Psychotherapist, and my story of diversifying as a leader and advancing the profession. I shared my accomplishments as a media guest expert on TV, radio, and a reliable source for print media, as well as a business owner of a preeminent counseling practice based in Sharon Massachusetts, a top relationship expert blogger, and an author of 3 books. I provided a real life case example, by sharing my story of not allowing my challenges, traumas, nor adversities get in my way of accomplishing. I explained that we all experience life aggravations, it is a choice to plow through them every day. The curtain of life rises each and every day, make the decision not to allow your challenges to be your show stopper. My keynote was positively received, with wonderful reaction to a packed house of emerging leaders and leaders within the industry of Marriage and Family Therapy/Psychotherapy. I provided exercises that offered attendees the opportunity to look at their career thus far, consider their vision of what they wish to advance and accomplish professionally, and the choice to make the active decision not to allow fear, excuses, naysayers, challenges, traumas, nor adversity stop them from advancement. Attendees also experienced an exercise that took them into a time machine to travel back in time into their childhood to consider the notion that they have the ‘leadership chip’. If you have the leadership chip, that means that you have always had leadership qualities, it is about accessing those traits. 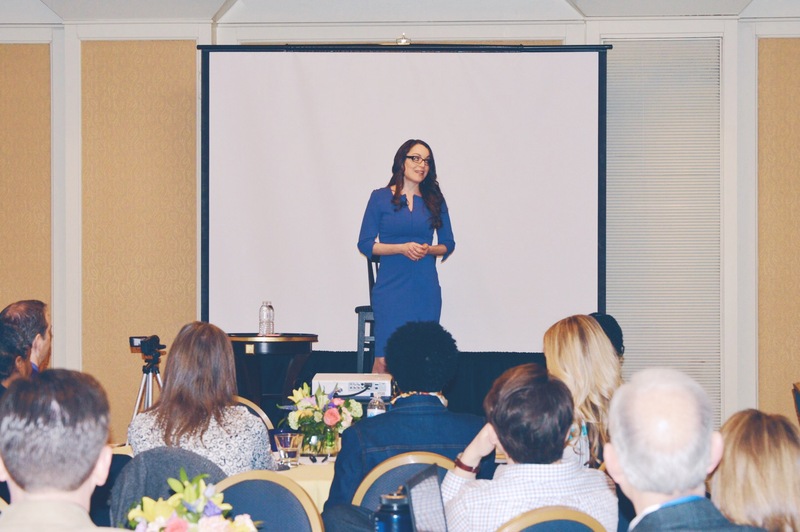 By sharing my real life case example, by sharing my story, by having attendees look at and confront their own story, their visions, I invited them into my possibility that if “it” happened to me then it can happen to you, whatever the career accomplishing “it” is. During my keynote I discussed the key traits of a leader and how those traits and thus behaviors result in career advancement and advancing the profession. Being a leader doesn’t change who you are, it is who you are. You have the leadership chip. With belief in yourself, with belief in your message, with passion, you shall persevere. What someone else says about you says something about them, it does not say something about you. Make the choice not to listen to naysayers. We all experience challenges, traumas and adversity. Confront your skeletons in the closet and plow through. Do not allow those challenges, traumas and adversities stop you from achieving, advancing in your profession, and doing what you are passionate about. The curtain of life rises each day, you must bring your best self everyday. For there is no understudy in life’s show. Crumble up your old philosophy, the philosophical belief that there are show-stoppers in your life. Rather decide that you will not allow naysayers, challenges, traumas, adversity to stop you from bringing ‘it’. 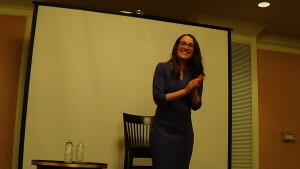 (Truly an exciting moment when I offered attendees the opportunity to write down on paper their challenges, traumas, and adversities and then I asked them to crumble up that paper representing their old attitude that these very things have been their show-stoppers and thus prevents them from achieving and advancing in their career. The notion is, by crumbling up this old philosophy, the new philosophy now emerges; which is that you shall not allow anything that you are confronted with to stop you from achieving your vision, and living your passion). Accomplishing is not because you are born into wealth, or have connections in a particular industry. Nothing gets handed to you, don’t expect that. Therefore you cannot use either as an excuse why not to achieve. I got to where I am by raw passion. You must have risk tolerance, put yourself out there and say the things other people are afraid to say. Leaders don’t just work hard. They don’t just work harder then harder then everyone else. Leaders, people who advance and accomplish and achieve in excellence truly work harder then harder then harder then harder then everyone else. The moment you allow fear to control you, to make your decisions based upon fear, you are giving up your power. Consider your your vision, and spend at least 30 minutes per day every day working towards accomplishing that vision. How to not let fear stop you from advancing. How to navigate and evaluate constructive criticism vs. naysayers. When and who to listen to vs. when and who not to listen to. As a young professional, how to get people to take that young professional seriously and advance, when age appears to be stopping the higher ups from even considering the opinion of this young professional. How to become a guest expert on the radio. It was wonderful to speak with so many Marriage and Family Therapists from so many states ranging from California to Wisconsin to North Carolina to South Carolina to Baltimore to Canada to Indiana to Massachusetts to Washington, and more. It was a full house in beautiful Arlington VA. I had the opportunity to speak one-on-one with many of the attendees to find out why they desired to attend the AAMFT’s Leadership Symposium. It was wonderful to hear the stories of Marriage and Family Therapists who are leaders and wish to diversify, as well as from those of whom desire to not only advance in their career, to also advance the profession. It was truly heart warming to have attendees come up to me after my keynote and share with me how inspiring my speech was. 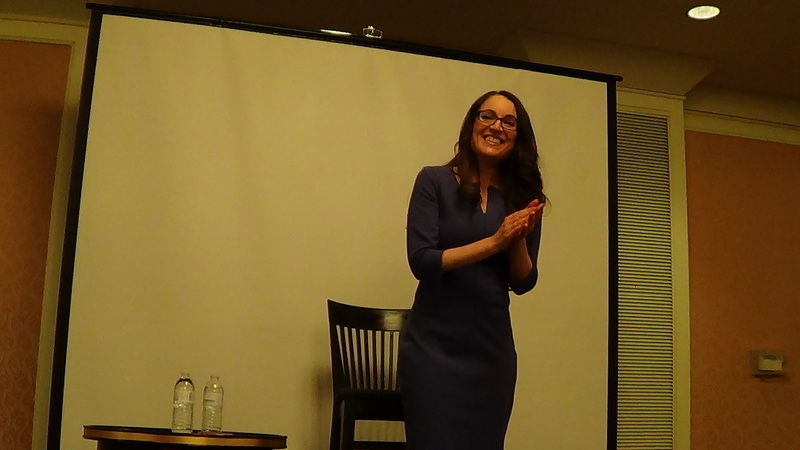 It was amazing to hear that my message was not just understood comprehensively, that people were effected and feeling motivated to take action in their life. To be told that my “energy is infectious” is humbling. It is my greatest passion to touch the lives of others, and it was a pleasure to have had the opportunity to touch the lives of so many fellow Marriage and Family Therapists/Psychotherapists. This is an excellent post and I’m sure your presentation was amazing! Thank you so much for your kind words Tzippy! Previous post: Kylie Jenner – Why Plastic Surgery?